This vegan queso cotija is crumbly, salty, and tangy. There’s absolutely no dairy in it and it’s delicious. It is perfect for topping sopes, chilaquiles, enchiladas, gorditas, salads, and pastas. If you are new to veganism I just want to let you know that I get it, I miss cheese too. I loved cheese, all kinds of cheese! This is why I detest processed vegan cheese, because it just doesn’t taste like the original. (I haven’t had the privilege of tasting Miyokos vegan cheese, they say it’s a game changer though.) There are exceptions to this, like this vegan cotija cheese which is made from almonds. It of course is not like the original, but let’s just say it evokes the sensation and taste of cotija cheese. Cotija is actually a small town in the mountains of the state of Michoacan. The cheese is said to have originated more than 400 years ago. 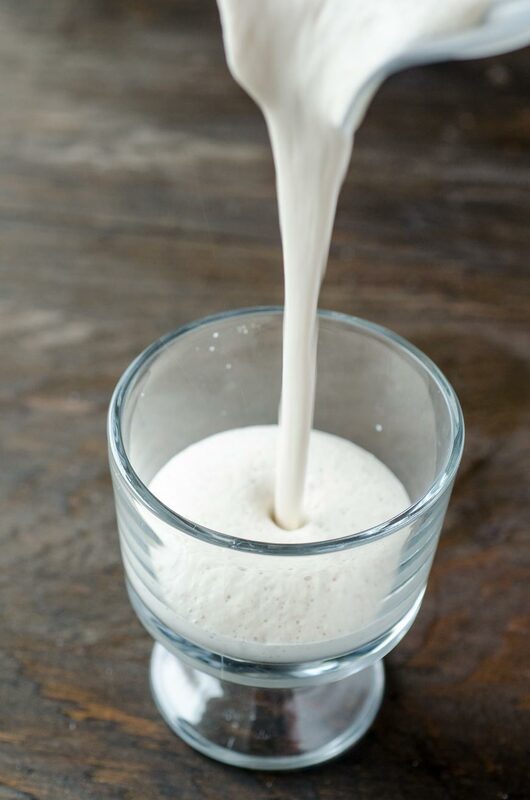 It was made by the local people to keep milk from spoiling by turning it into aged cheese. The cheese is aged for about 3 months and is available in large rounds. I visited Cotija, many years ago, and I remember being blown away by the sight of the huge cheese rounds in the local shops and restaurants. You must be wondering why I’m talking about the actual cheese making. Well, this blog is all about making traditional Mexican food vegan, but also about preserving our Mexican food traditions and food culture as much as possible. So, it’s important to look into the history a little bit. Plus, I’m a total food nerd. and from this recipe from Veggies Don’t Bite. I’ve put my own spin on it. 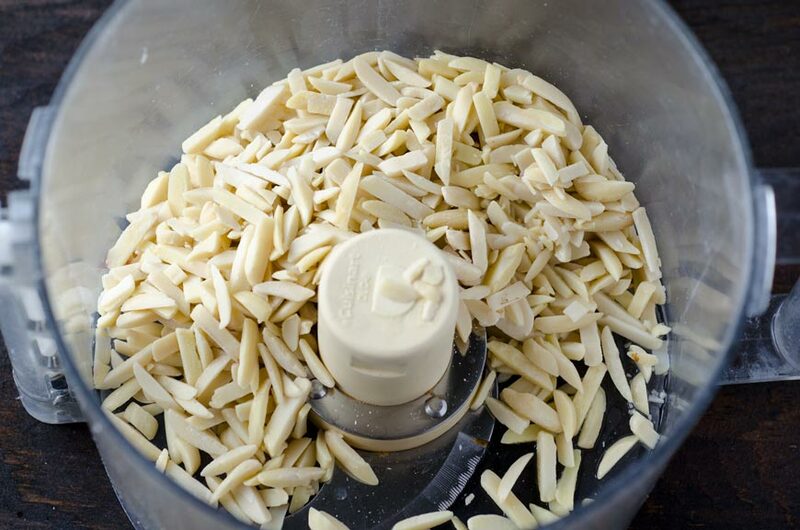 Use slivered almonds, do not soak them. You can also use lime juice instead of lemon juice. 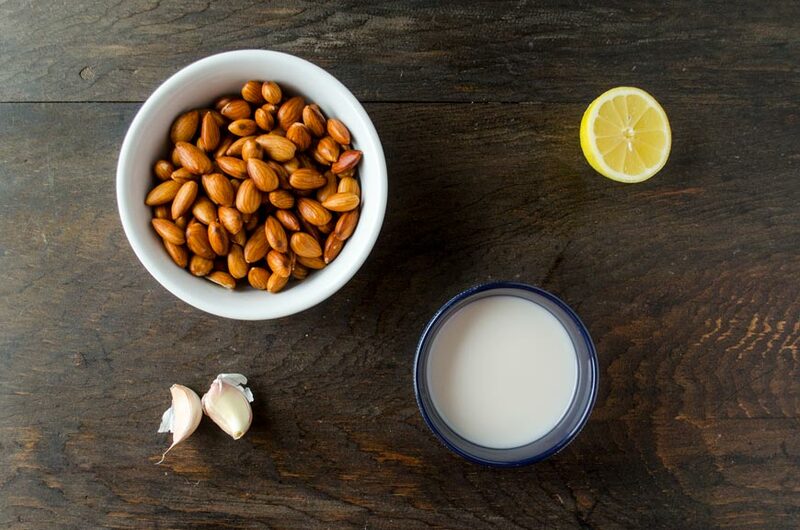 Place the almonds. Lemon juice, brine, and salt in a food processor. 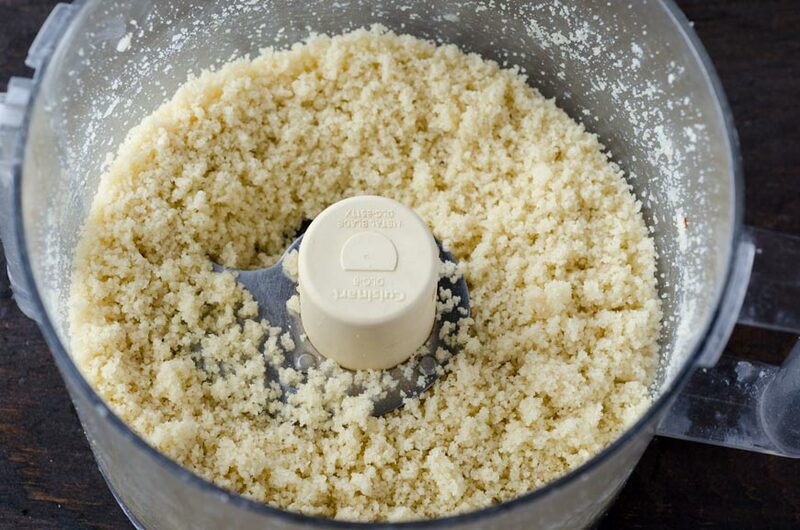 Process until you get a crumbly mixture resembling cheese, about 4-5 minutes. 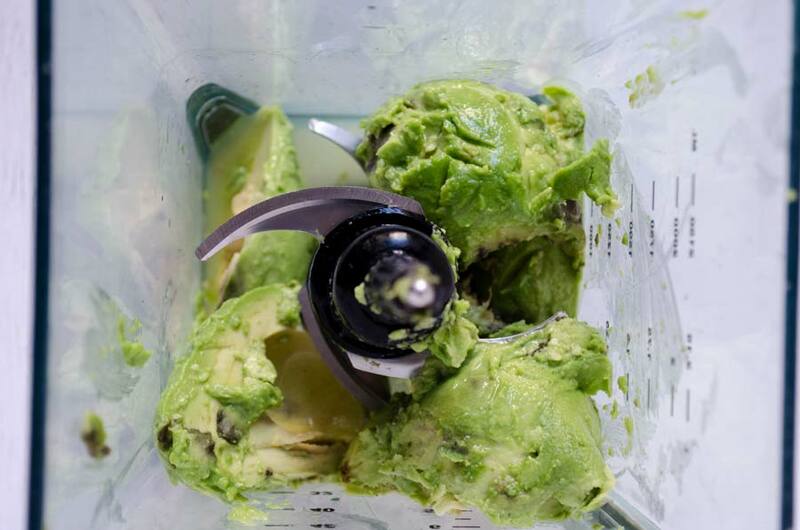 Be careful not over process or you’ll end up with almond butter. 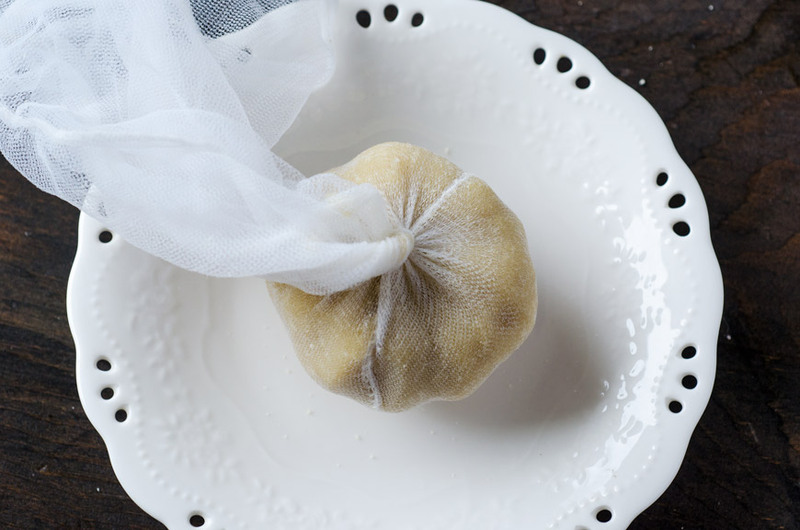 Place mixture in a cheese cloth or nut bag and twist tight to close and squeeze all of the excess liquid out. Place in the refrigerator for 24 hrs. 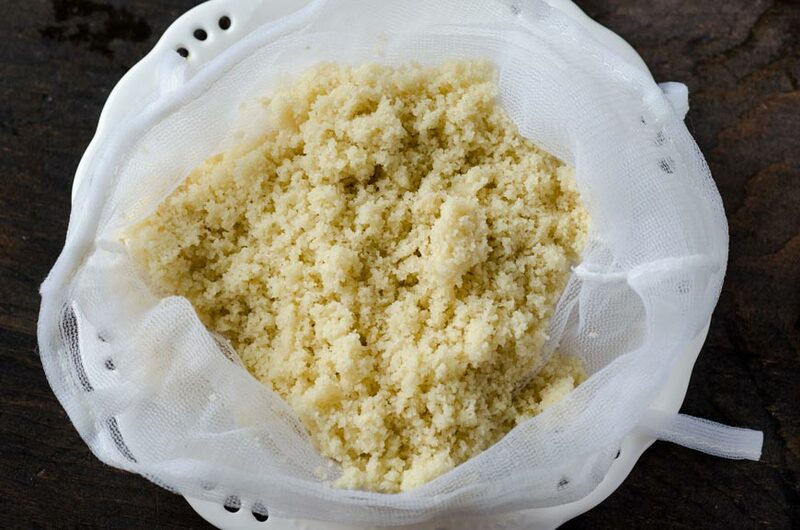 Remove cheese from cloth and crumble. 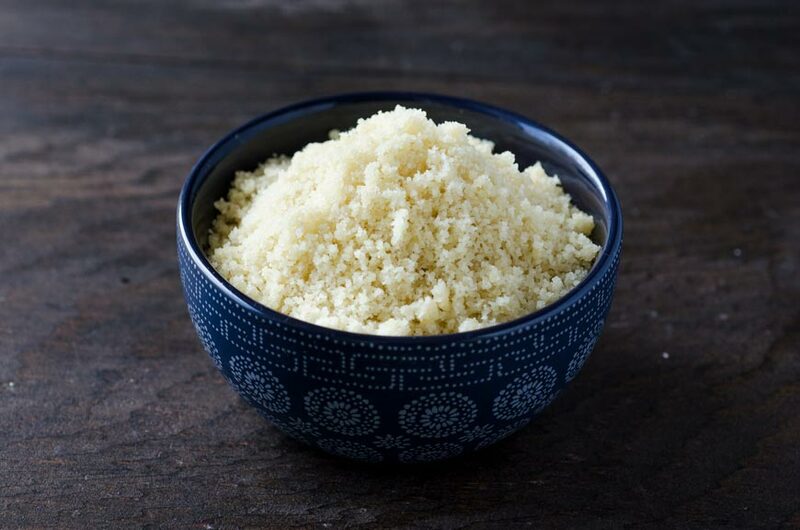 If you eat nutritional yeast, add 1 tsp. to the recipe before processing. 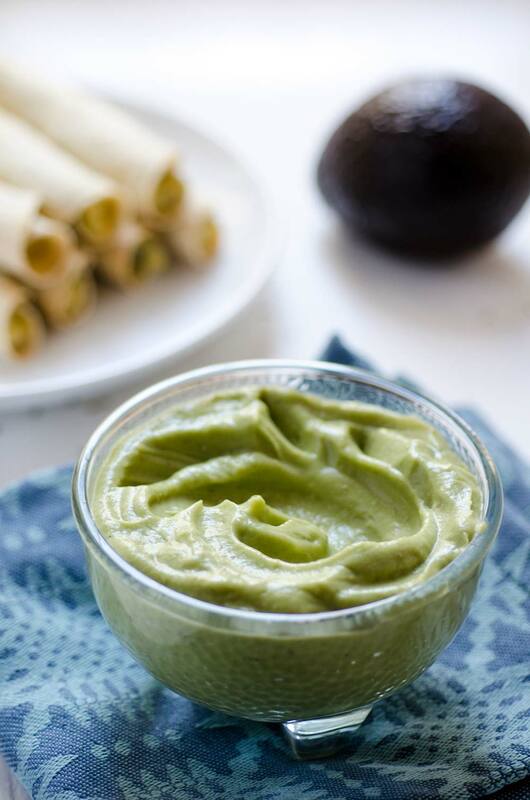 02/09/2018 /0 Comments/by Dora S.
This creamy and spicy avocado sauce is a great for dipping flautas or for topping your everyday tacos. 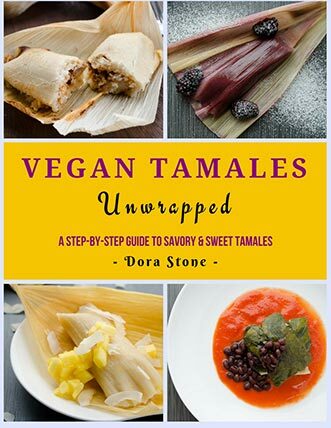 It is traditionally served with flautas or taquitos, but it would also make a great addition to some vegan enchiladas. 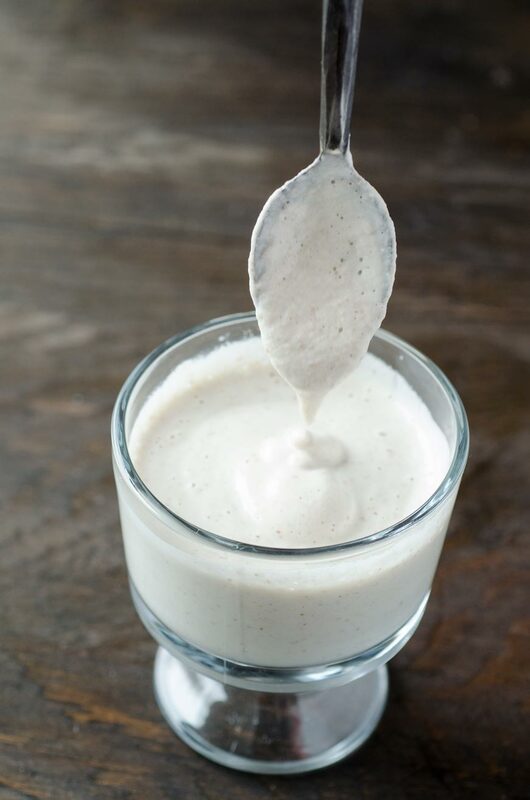 You can also use it as a salad dressing, or as a perfect pairing to your chips and salsa. The best part is that is has absolutely no dairy and it’s delicious. I’m taking over this recipe post to make an announcement. I’m pregnant!!! 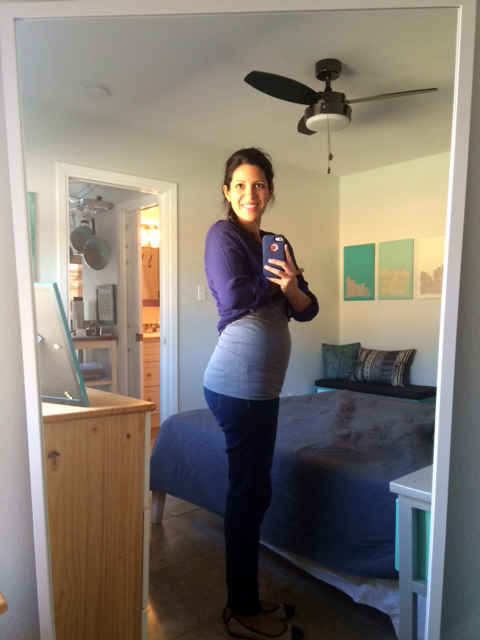 I’m 16 weeks along with baby #3. This pregnancy took us completely by surprise, but we are more than happy to receive another wonderful little one into our lives. This time around the nausea knocked me completely off my feet. It was bad, really bad, but I’m so glad that part is over. Otherwise the pregnancy is progressing normally. We are a bit concerned about having another premature baby. My son was born at 34 weeks and my daughter at 33 weeks. They were both in the NICU for a little over two weeks without any serious complications. We are hoping this baby will make it past 34 weeks, so please keep us in your prayers. As far as being vegan and pregnant I had a really hard time with the nausea. All vegetables and legumes completely grossed me out, so I ate mostly almonds, fruit, and some tofu. Once it subsided I started adding back in vegetables, starting with the greens and squashes, and then with the cruciferous vegetables. I wasn’t able to start eating legumes until week 14. Oh how I missed my beans! I’m hoping to keep the rest of my pregnancy as vegan as possible. I will keep you posted. This sauce is seriously easy to make and won’t take more than 5 minutes. When I make this for the kids I omit the pickled jalapeño, but if you like spicy you can add as much jalapeño as you like. 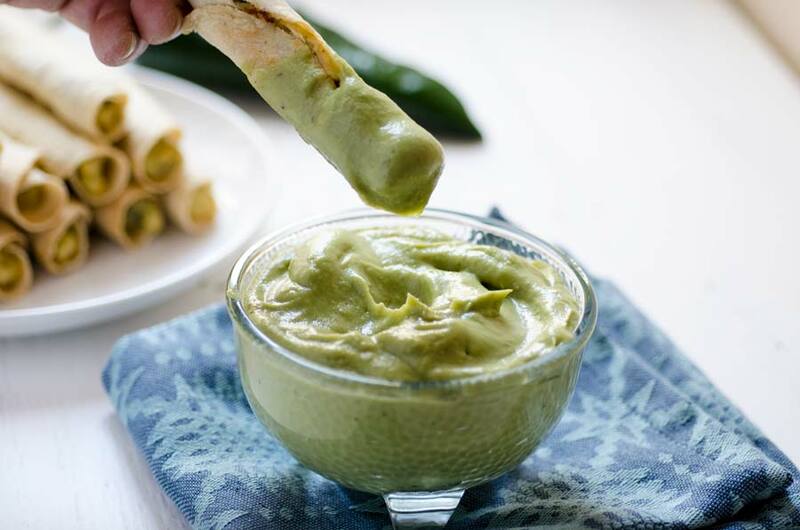 For another variation, you can add 1 cooked tomatillo for a more salsa verde feel. Enjoy! or you can make your own. 02/02/2017 /0 Comments/by Dora S.
This past week was rough. School started on Monday and it couldn’t come soon enough, except I now have to wake up at 6:15 am in order to make it out the door with two dressed and fed children. I am not a morning person, not at all, so I was barely functioning all week. I did however enjoy the quiet that came with the baby’s uninterrupted nap and some much needed morning alone time. By the end of the week I knew things were bad when I sent my hubby to pick up Dylan, and it turns out he didn’t get out until two hours later and I forgot to pack his lunch! It seems like no matter what I do I’m always one step behind. It kind of feels like all I have to do is give one more push and the race will be over, but the race never ends. 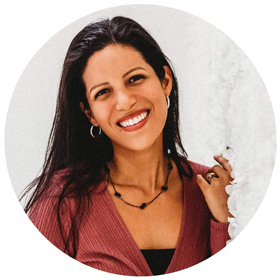 Just the other day I was looking for school lunch ideas on pinterest for a newsletter I do for my local moms group, when I got a case of the mommy-chef guilt. I usually pack him pb & j, veggies and fruit, and some goldfish. It’s practically the same everyday, nothing cute or artsy about it, and honestly it’s all I can muster that early in the morning. Sometimes I think, ” All that money that went in to culinary school and all I can make is pb & J?” So I asked Dylan (6yrs old) if he would help me plan his school lunches. I told him one day we could have veggie sushi, maybe another day hummus cucumber pinwheels, and another day noodles. He just kind of stared at me with a blank face. So I said, ” Or, we can just have peanut butter and jelly every day.” The boy responded with an enthusiastic yes, so pb & j it is. I proudly declare we will not be making any fancy school lunches this year! This month is what we call in Mexico, el mes de la patria (patriotic month). It’s the actual month of Mexico’s independence. I still don’t know how we will be celebrating, but I finally perfected the Mexican pickled jalapeños recipe (jalapeños en escabeche). I was having trouble getting them to taste just like the canned ones. My favorite brand is La Costeña. I had used a combination of cider and white vinegar, and the problem was solved when I completely eliminated the cider vinegar. 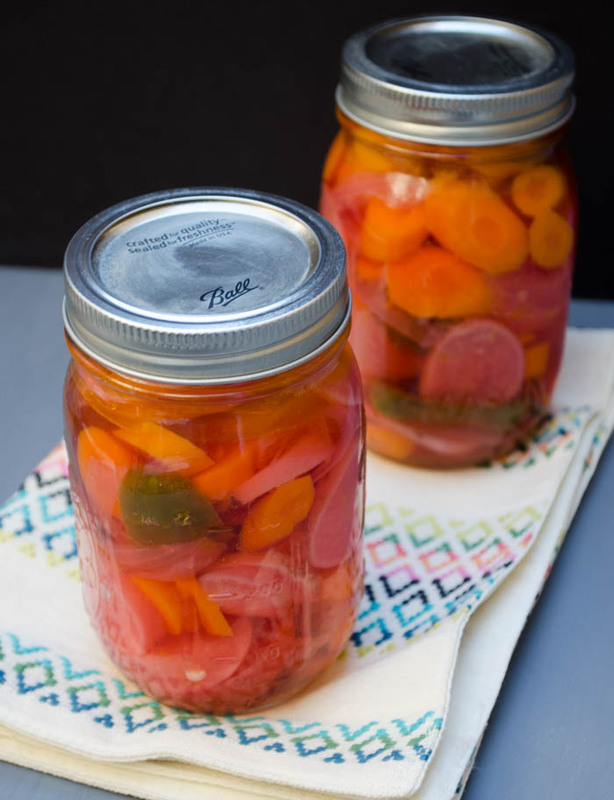 I water canned them, but you can make refrigerator ones, and skip the canning process. 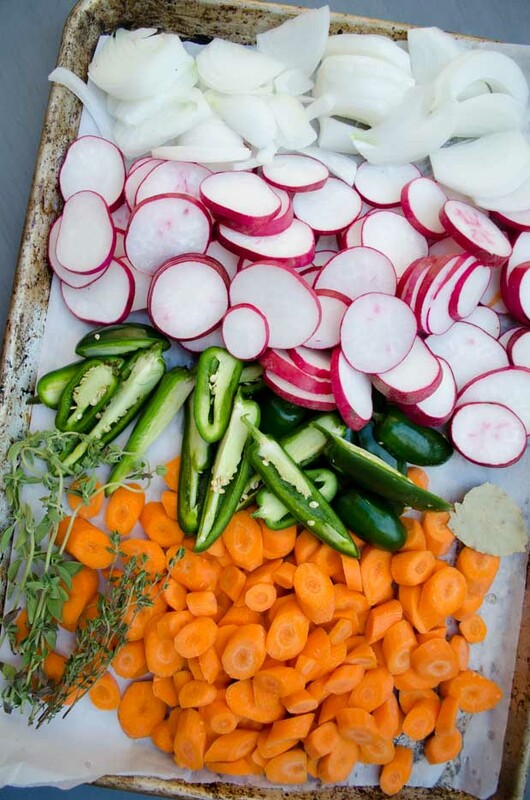 I chose to use radishes in this case, because we kept getting them in the CSA basket every week. The result was jar after jar of slightly pink hued jalapeñ0s. 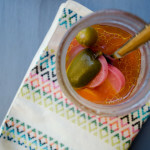 The jalapeños, radishes, onion, and carrots are infused with the flavors of fresh oregano and thyme. They are tangy, spicy, and just the right amount of crunchy. Enjoy! Heat ¼ cup of olive oil in a large pot to medium heat. Once the oil is hot add the onions and cook for 1 minute. Add the water, thyme, oregano, bay leaf, and salt. Let simmer for 8- 10 minutes or until the vegetables are tender, but not completely soft. 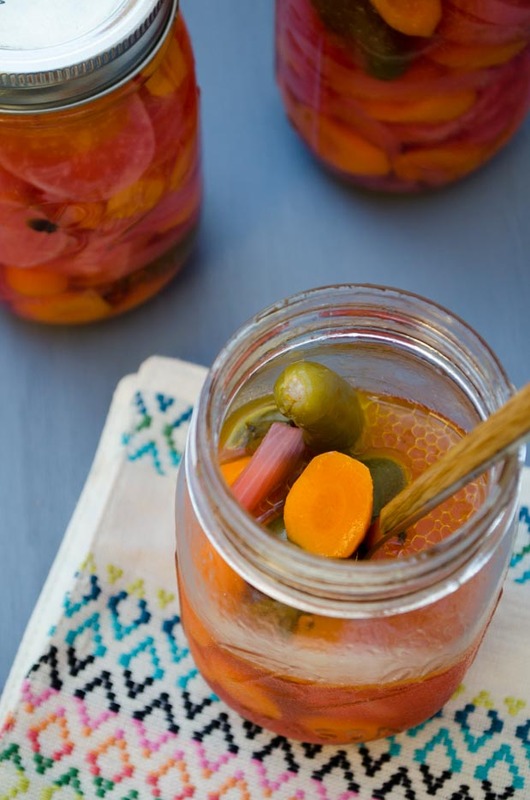 While the vegetables are cooking, sterilize your jars by boiling them in water for 5 min. When your vegetables are ready, use canning tongs to remove the jars from the water, pouring the water in the jars back in the canner. Bring the water in your canning pot back to a boil. Pour the vegetables into the jars using a ladle and a canning funnel, but be sure to leave ½ inch of headspace at the top. Use a chopstick to release air bubbles by running it around the inside of the jar. 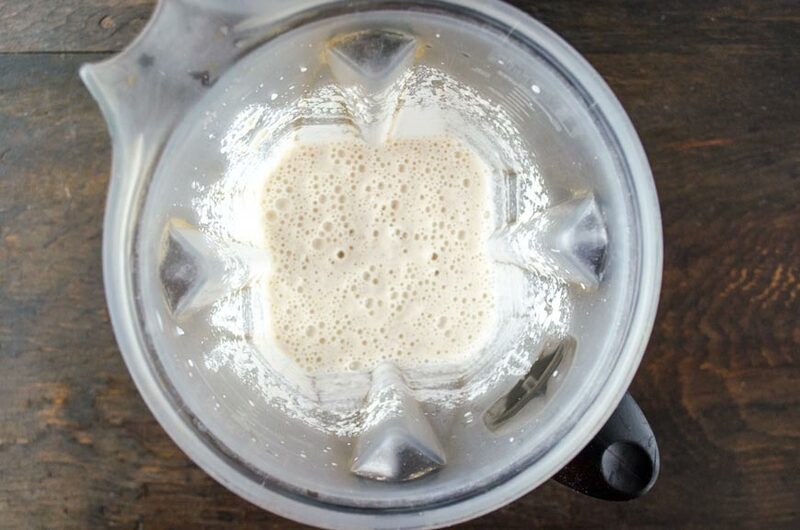 Clean the rims of the jars with a moist paper towel. Put on the lids and screw the rings on until finger tight. Do not force it. Transfer the jars to the pot, making sure they are vertical and that there is at least one inch of water covering them. Bring water to a boil and process cans for 10 minutes. Remove jars from water and place on top of a wire rack. Let cool. You should hear a pop when the lids seal completely. Leave undisturbed for 6 hrs. If the lids are not sealed properly you will have to process them again. Remove the rings and store jars in a cool, dark place. Refrigerate after opening. Recipe yields 4 pint jars. 09/09/2015 /0 Comments/by Dora S.